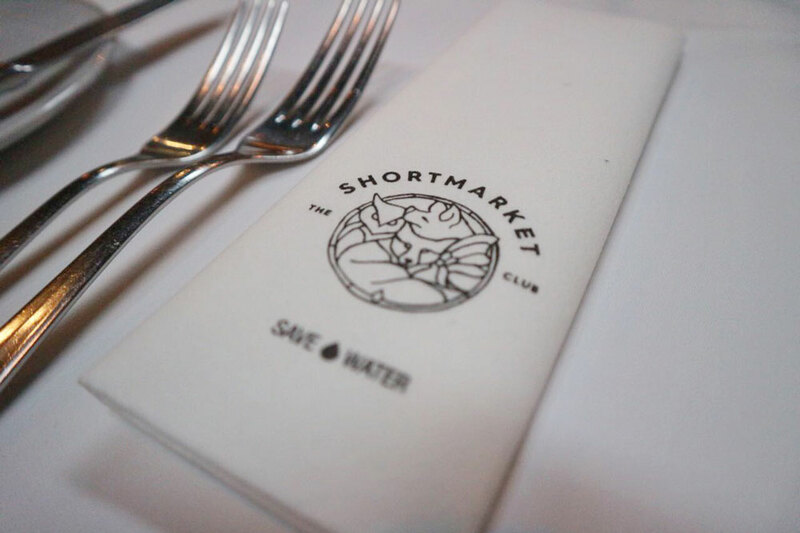 A firm Cape Town favourite, The Shortmarket club has had its doors open since June 2016. 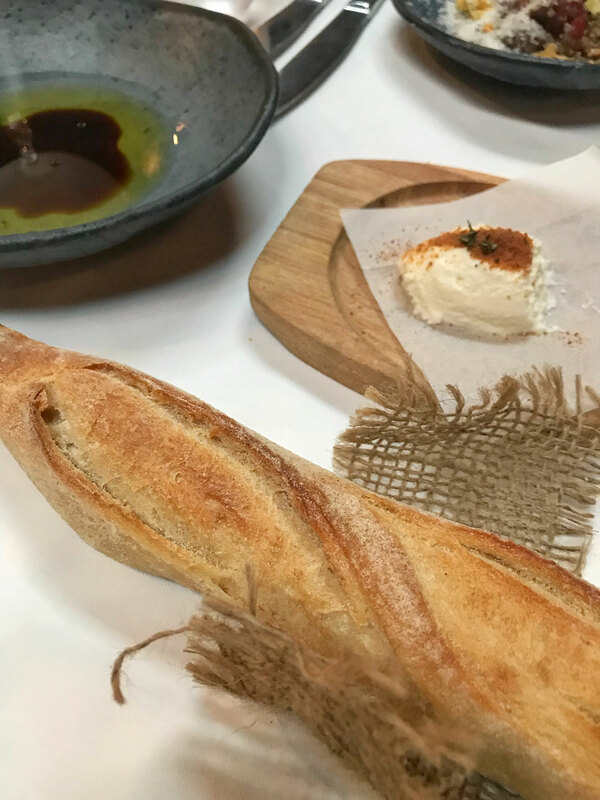 Part of award winning chef Luke Dale Robert’s family, with Wesley Randles at the helm, this classy eatery has all the makings of an exclusive members-only club. Here, dishes are more than fresh, seasonal ingredients. It is all about the theatre of eating. Waiters yielding blowtorches for caramelising dishes, or vintage trolleys to deliver the bread course, meat trays and desserts are all actors on stage for the ultimate dining experience. It was a blisteringly cold Saturday lunchtime when we arrived to try out the new Prix Fixe winter special menu. 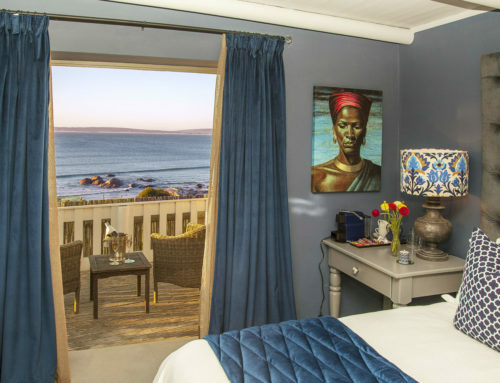 The warm, inviting interior, designed by Luke’s wife and co-owner, Sandalene, was the perfect venue to brave the elements. 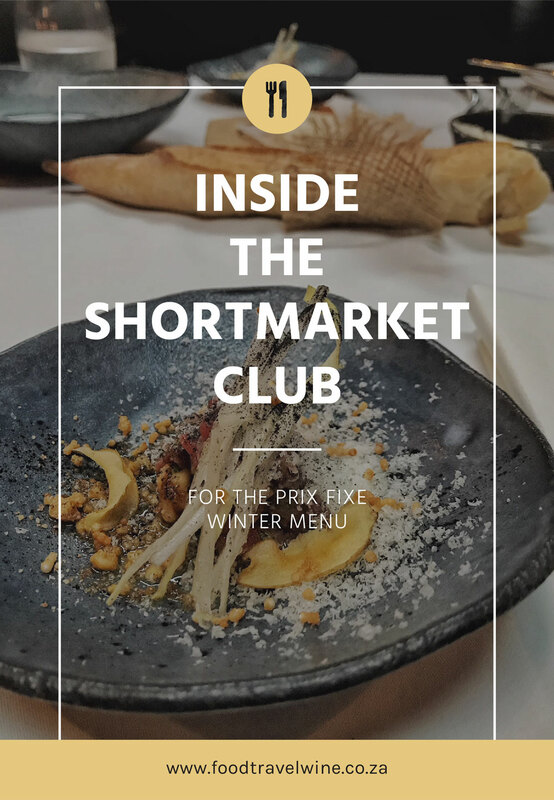 The Prix Fixe menu was created for quick business lunches, girly catch ups or a stolen midday date whilst not compromising the flavour and service we have come to know at Shortmarket. 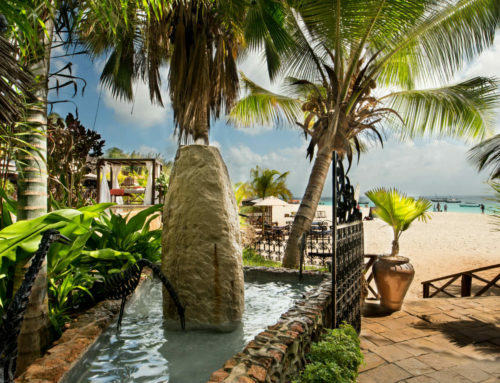 It showcases the best of the main al carte menu, while service is quick and efficient, getting you back to work before the boss even notices you are gone. 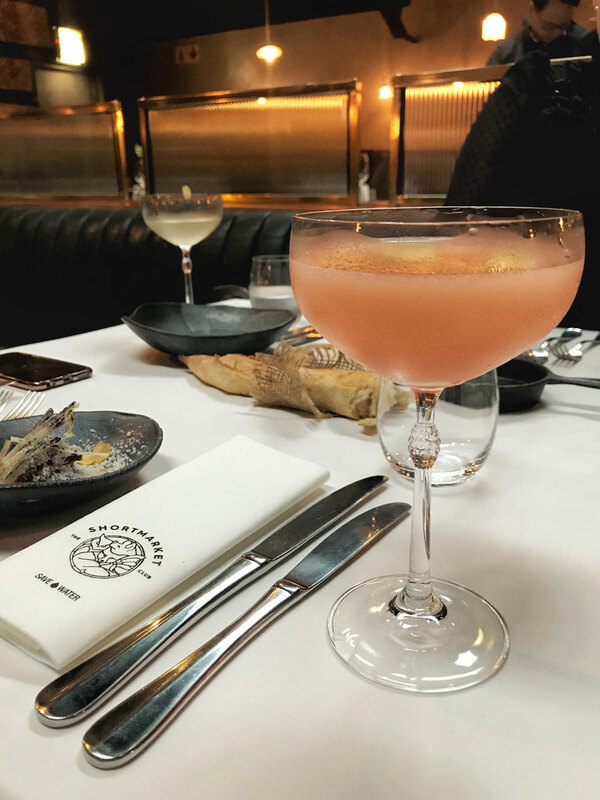 Intrigued by the creative and unique drinks menu, we chose to kickstart the day with a cocktail. The selection is a list of the classics, but with a modern twist. After the bread, served with homemade ricotta and a salted butter, the Amuse Bouche was served. 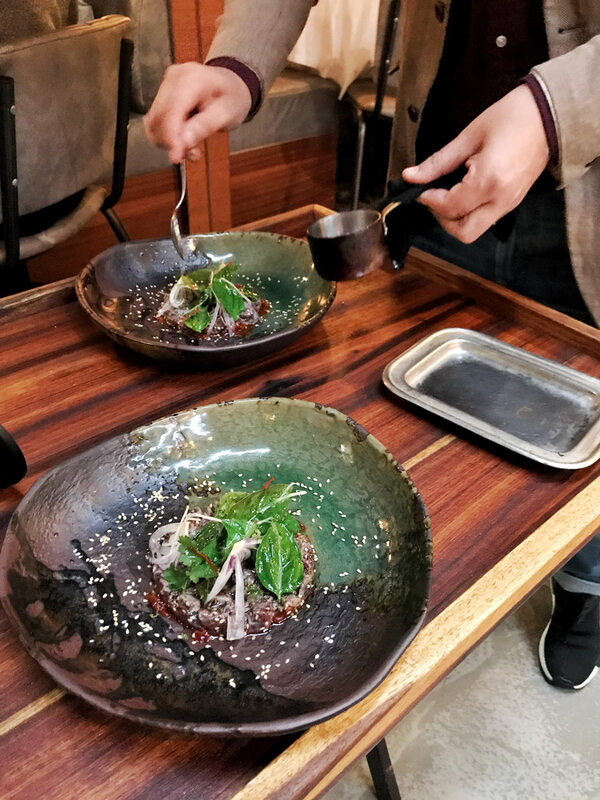 A decadent springbok tartare, with raw endive, parmesan cheese and pickled shimeji mushrooms all finished with a walnut dressing. Just what was needed to tickle the taste buds. 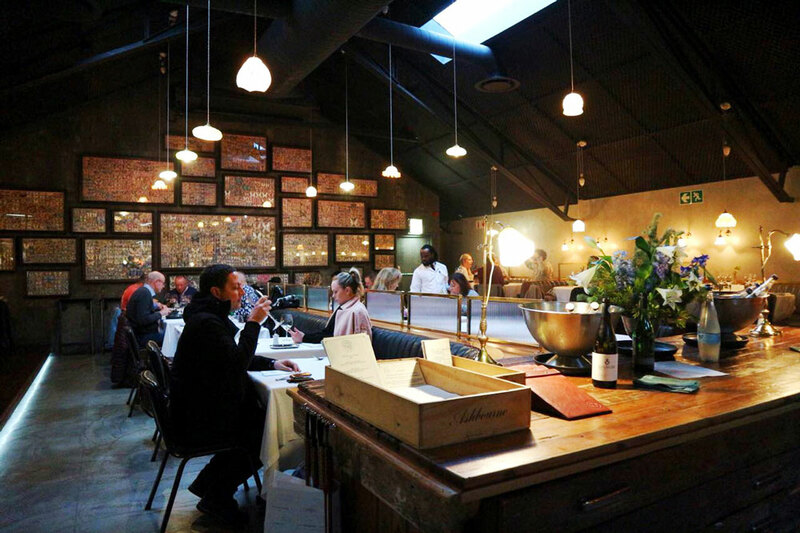 The Prix Fixe menu can be ordered with or without a carafe of wine from Paul Cluver, which perfectly pairs with the dishes on the menu and offers exceptional quality at a good price. I chose a glass of Pinot Noir to enjoy with all three courses. 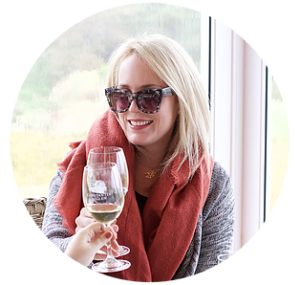 For the white wine drinkers, there is a Paul Cluver Sauvignon Blanc. This was followed by a starter of Sambal Matah Tuna Belly served with sambal oelek, hot coconut oil, chilli, basil and fresh lime. The dish was prepared on the trolley, wheeled right to the table for a show. Shortmarket’s lead actor, Rudi, heated the coconut oil with a blow torch before spooning it over the dish searing the tuna. 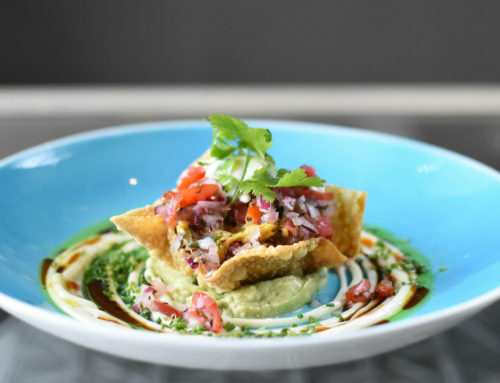 This dish was inspired by the chef’s recent trip to Bali. A unique twist on a classic seafood favourite. After a brief break, filled with conversations and more carafes of wine, the main course arrived. 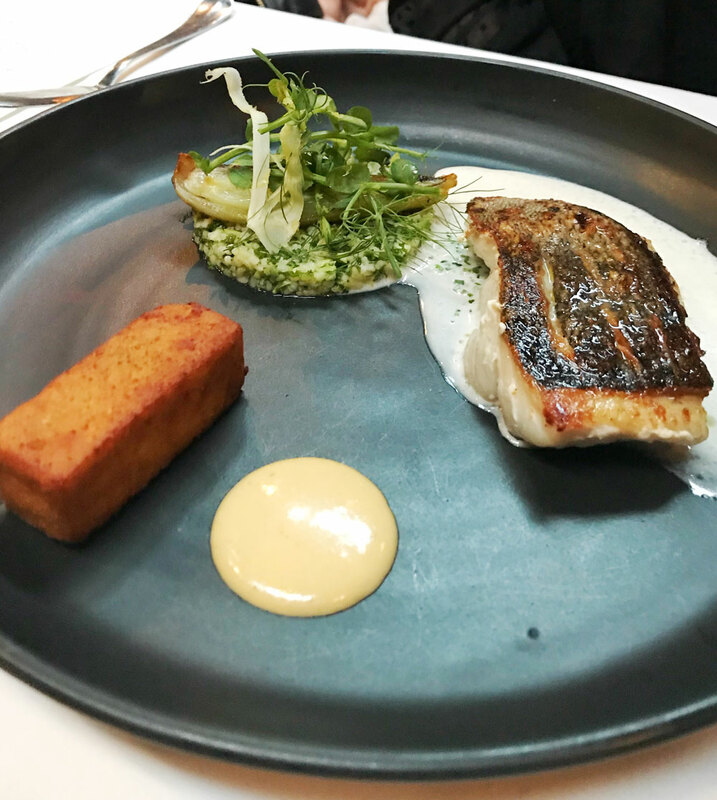 Grilled Sea Bream, accompanied by a lemon and tarragon velouté, a smoked mussel aïoli and served with fried panis, green bulgar wheat and roasted turnip. Dessert was the proverbial cherry on top! 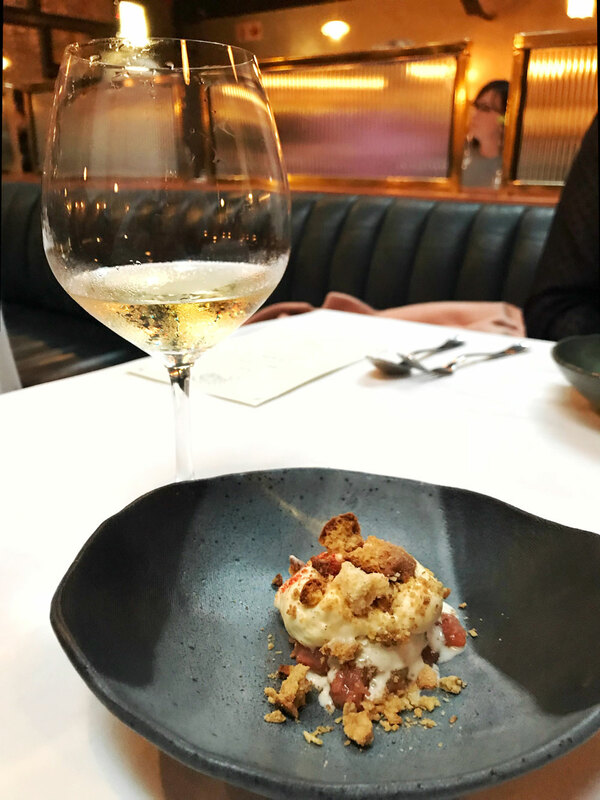 Real comfort food, Rhubarb Crumble served with pine nut ice cream, mascarpone catalan, rusk and shortbread crumble sprinkled with strawberry dust. An absolute treat. Three set courses, as well as breads and an Amuse Bouche for R280 is available from Tuesday to Saturday for lunch only until September 2018. Bookings are essential. Open for lunch and dinner daily (closed Sundays).